Traveling? Think Mirasol. | Knit Like You Mean It. So I generally get some knitting done while we’re on the road, but this Christmas’ road trip (to Boston and back, to see the Trask family!) was particularly productive. I blame the Mirasol Sulka (rav lnk) I bought at Fibre Space just after Thanksgiving. I considered making hats with it…but it just didn’t want to be hats. So it turned into a moss stitch scarf (above) and moss stitch handwarmers with a contrasting seam up the back of the hand. I just love this yarn. The more I work with it, the more colors I see. The photos don’t do justice to it – the dark beige here has strands of blue, yellow, and even red running through it. The blue has shimmering green and gold tones. I could go on and on. I first used this yarn in the Cloud Bolero (rav lnk) class I taught at Fibre Space, and one of the major conversations was about our yarns. “This black has some gold in it!” “Hey, look at the light beige!” “Have you seen the purple?” Etc. 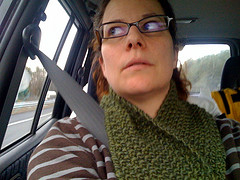 I started the neckwarmer and it just felt so good to knit that I finished it before we were home. Then I started to crave the Sulka some more. 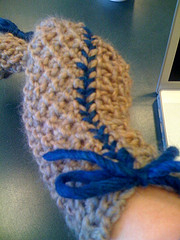 Plus, I had it all there with me, in the car, calling to me…and suddenly I had a nifty idea for some hand mitts. There was nothing for it but to cast on again. Though the Sulka selection in the car was vast, the needle selection in the car left something to be desired. 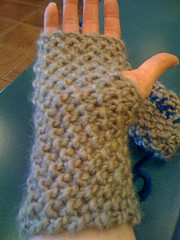 Knitting them flat ended up being a boon, though, because I had the idea to seam them in a contrasting color. Supercool. Stay tuned! I still have several colors in my stash, so who knows what’s next. I might even make a hat, after all. Plus, knitting all of this kept me from blasting the soundtrack to Glee at Mr. Trask for a third time. Just one of many little touches that have probably saved our marriage. I loved this blog and am glad you referred back to it. 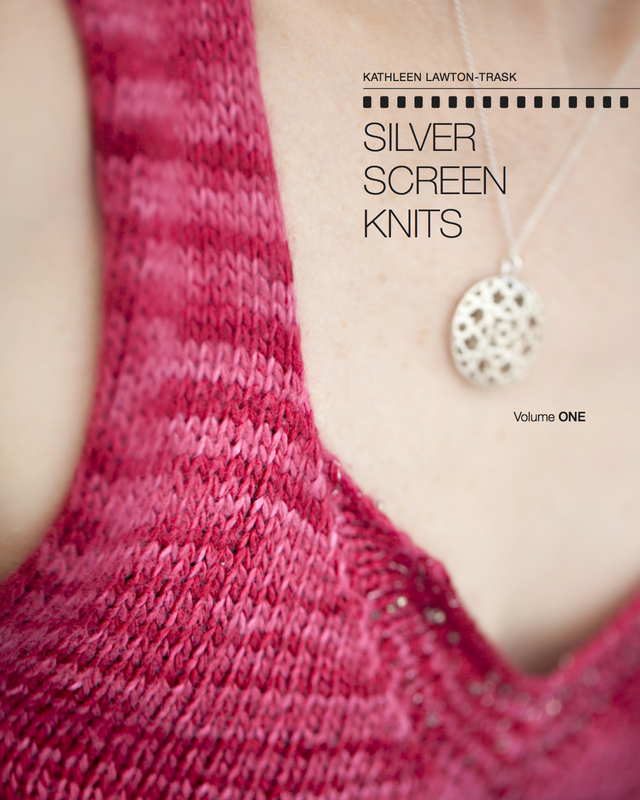 That’s exactly what I am finding: that knitting stitch by stitch is making me more aware of things. I now stalk people in the metro trying to look at their hats and see what pattern or stitches were used. I never even noticed the hats before, except to wonder “where did they buy that?” I put on a sweater I bought last winter — a cute cardigan with 3/4 length sleeves and soft stripes of brown and olive. I now study it and realize that it would take me a long time to knit it and also I would pay much more for the yarn than that sale price of the ready-made sweater, but I am aware of it now and appreciate that some machine made it and I guess for now I didn’t have to. So the art of knitting is sucking me in and I am resisting less and less.